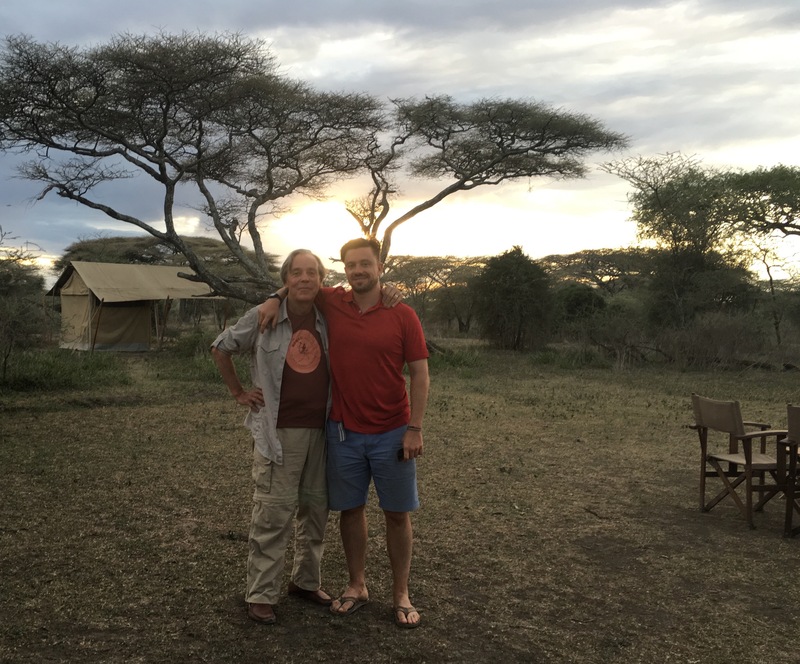 If you go: We organized our trip through Expert Africa, who have teams on the ground throughout Africa. 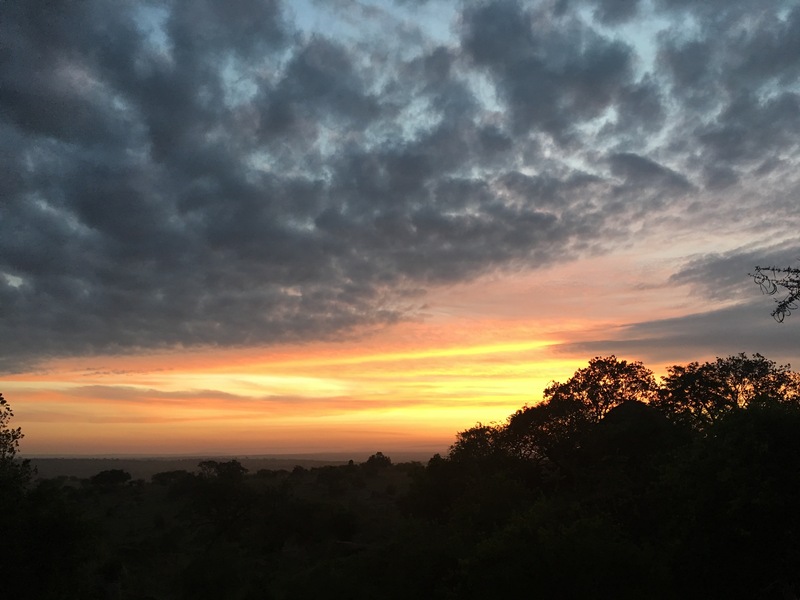 We stayed in Nomad Tanzania camps in the Serengeti – Migration camp in the south and Lamai in the north near the Mara River. Lamai was a highlight of the trip – serene, beautifully integrated into the topography, looking like a spread in Conde Nast, but down to earth and homespun. The food was local and delicious. Lots of squash, greens, lentils, pumpkin, chicken. The staff were from local villages and thrilled to be learning the hospitality industry. 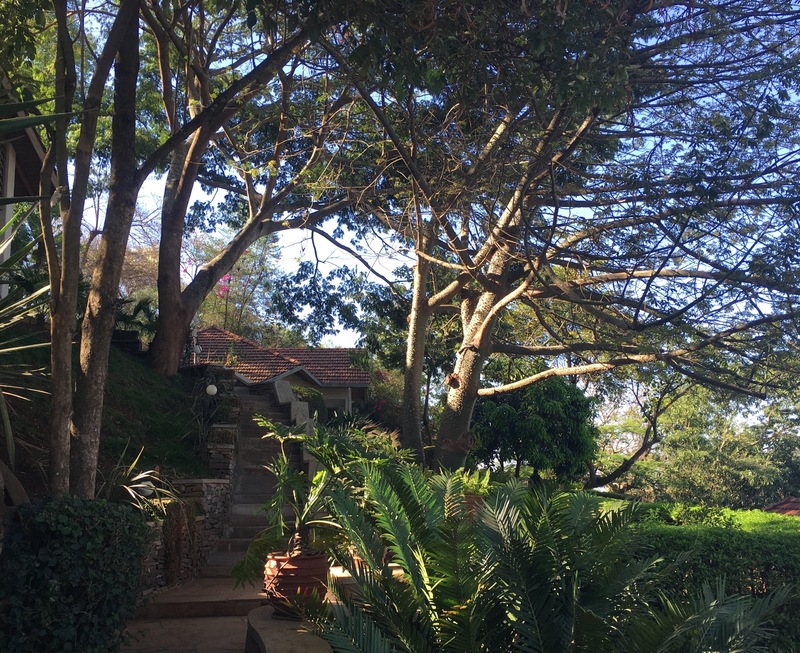 The lodge faces east and we watched the sunrise from our bed every morning through the mosquito net. Pinch yourself. A scene out of Disney – and timeless. They are steeped in animal behavior (which is probably more predictable than tourist behavior) and are able to spot them in their environments and predict their movements when I cannot see a thing. 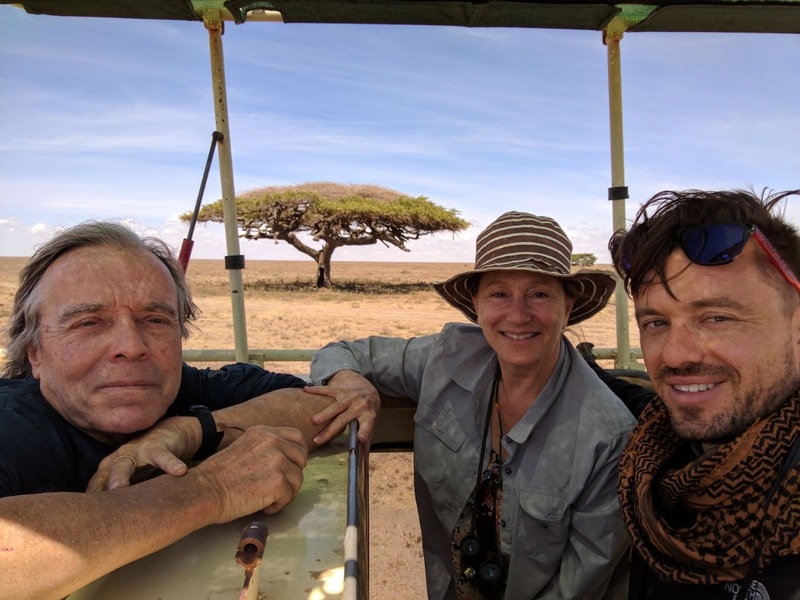 We search for the elusive and highly endangered black rhino who, when we find two, are clearly disturbed by our presence even at a distance. As we approach one charges and our guide, Musa, guns the engine and is outta there . (Fake charge he announces, but you could have fooled me.) I felt totally safe in their hands at all times. 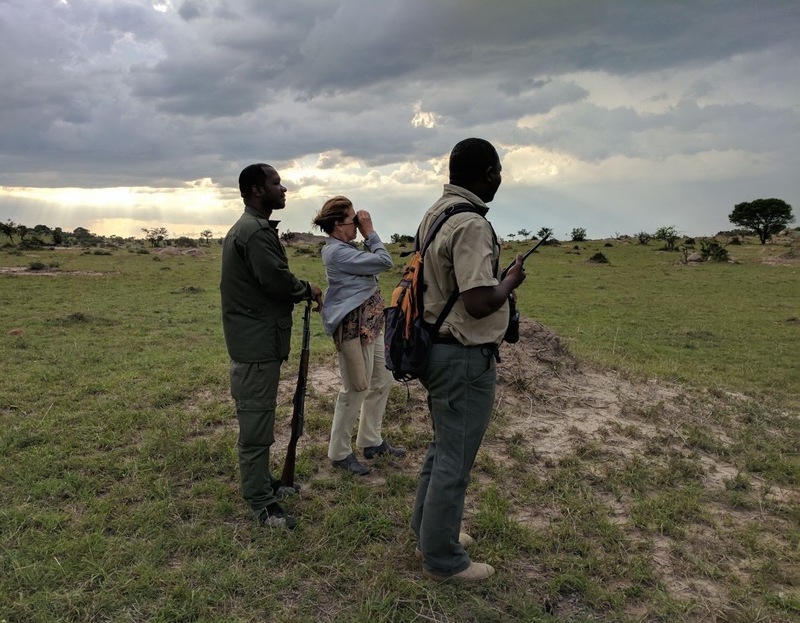 We go for a safari walk before sunset with two armed guards and a tracker with walkie talkie. As soon as you step on the savannah you are fair game. In the land rover, the animals only see a large shape and do not distinguish the people within as separate creatures. But as soon as you step on the ground, or they see your feet, they recognize us as one of them. Another predatory creature. 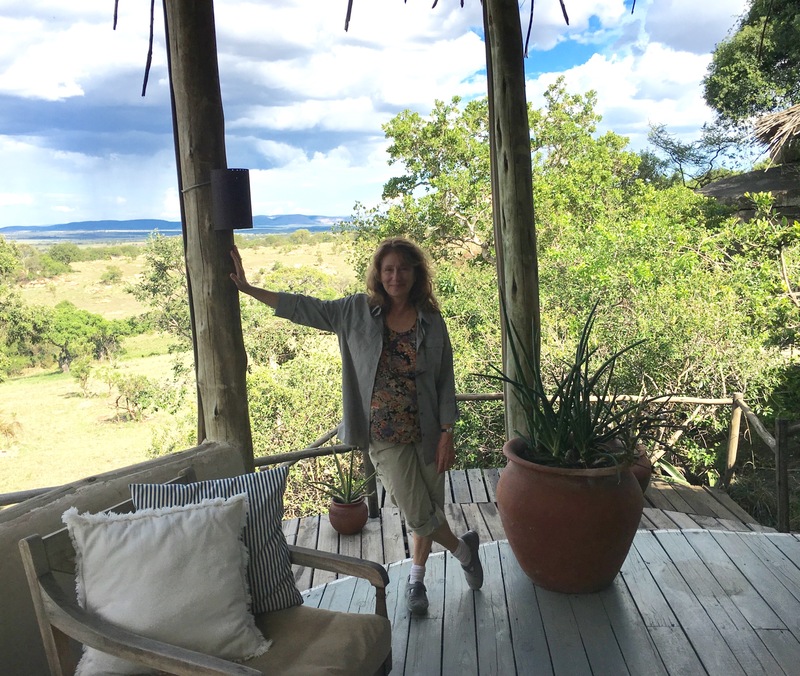 Standing on the savannah surrounded by animal droppings and bleached bones – the hot breath of life and death is indescribable. We came from here. We stood up and walked on two feet in this place. We were the hunters and the hunted. We invented fire and formed groups and ways to communicate and took over the earth. It was a privilege to experience it. 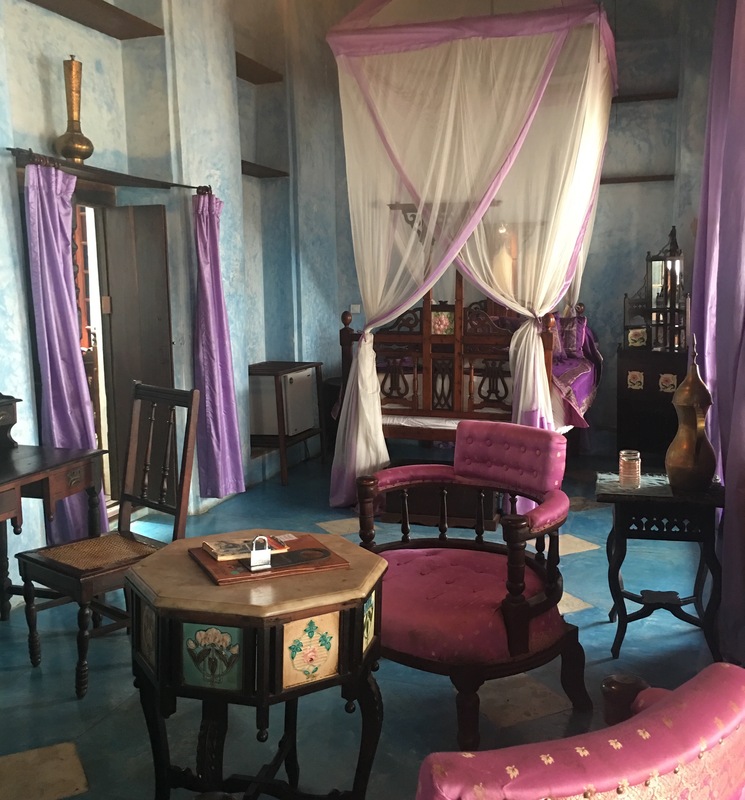 Step back in time in the atmospheric Emerson Spice hotel in Stone Town, Zanzibar. 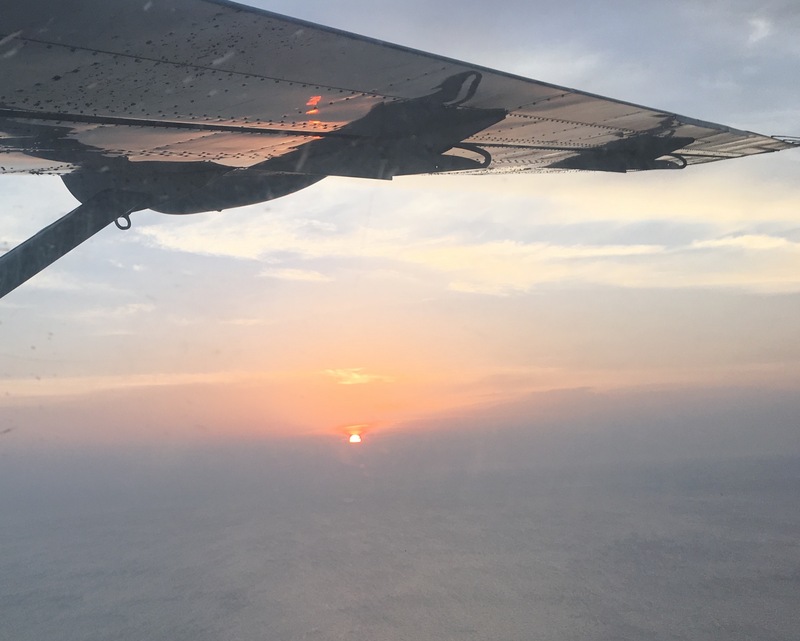 Last flight on Coastal Air from Zanzibar to Dar Es Salaam. Into the sunset over the Indian Ocean.